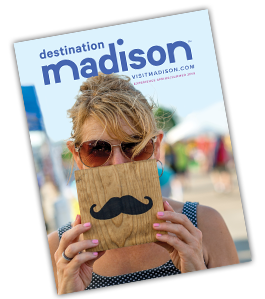 The Madison Marathon Presented by SSM Health, started in 1994, has grown into a world-class event attracting runners from all 50 states to run past Madison's iconic landmarks and features, starting and ending on the beautiful Capitol Square. The race is held Sunday morning of Veterans Day weekend. Veterans are highlighted and receive a race discount. Area non-profits are paid to provide volunteers for the race and for the Expo on Saturday. The free health and fitness Expo is held Saturday at Monona Terrace and is open to the public. Participants must register for the race. The Michelob Ultra Post-Race Party is held at the completion of the race.